I got several cheap OEC infrared filters off of EBay and thought I'd try them out. I clearly still need some practice on this! 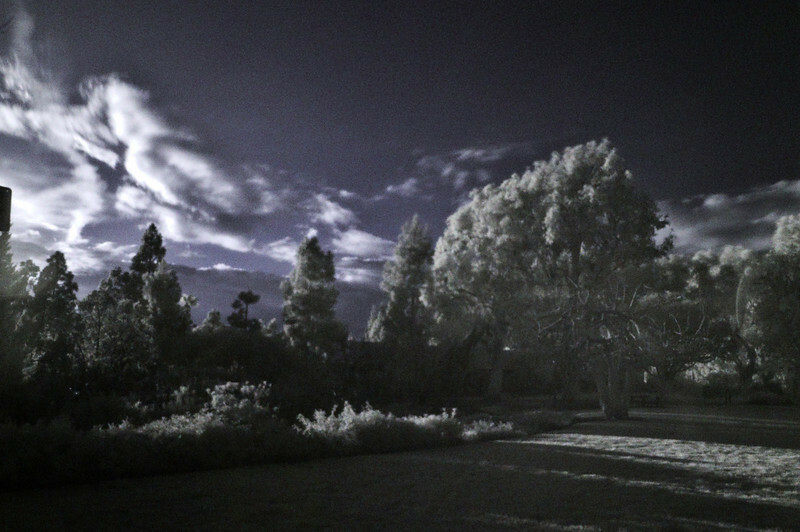 Taken in my neighborhood park using a 850 nm infrared filter and converted to "false color" using the standard blue/red channel swap.